To ship or not to ship? That is the question. The idea of setting sale and hopping from port to port, seeing the world whilst doing a job you love sounds like the dream. But, many people are left wondering whether working on a cruise ship will be the glamorous life they hope it will be. So, what’s it really like working on a cruise ship? Cruise ships, a nightmare to some a luxury to others. There are plenty of horror stories out there which can be daunting and confusing for those looking to erm…take the plunge. We took some time to speak with Rachel Eastwood, who has recently been working as a wardrobe assistant for Headliners, the in-house company for P&O Cruises. Rachel talks us through her experience of working on a cruise ship – helping you decide if life on the high seas is for you. Cruise ship work is certainly intense, you work long hours, rarely get a day off and don’t get to go home at the end of the day. You also have safety duties on top of your job role, as the crew is responsible for dealing with an emergency situation. That said, I’ve found ships to be the most welcoming places to work because everyone is literally in the same boat. You make it your home away from home, you create a ‘ship family’ and it gets you through when you’re having a bad day. My favourite thing about my job is the camaraderie between crew members and the lifelong friendships I’ve found. How about the living side of things? What amenities does the ship offer? I’ve worked for different companies and in different roles, when I first worked on board I was full-time crew, and I did that for two years. I would spend four months on board and then have two months of vacation. I ate in the crew mess, which was always a bit hit-and-miss, but we’d get ‘enhanced dinners’ a couple of times a month and I used to eat so much on those days!! The benefit of being crew is the crew parties, we work hard but we sure know how to play hard too. I work now as a contractor which means I am classed as a guest while I’m on the ship. The benefit of this is that I can eat in the passenger buffet and restaurants, but I’m no longer allowed in the crew bar so those parties are a thing of the past. How often are you allowed to get off the ship and do you get much free time? In the costume department, we are lucky enough to be able to arrange working hours around the ports we want to visit. I prefer to work really long hours on a sea day so that I can get off in ports as much as possible. Sometimes the schedule can’t be rearranged and we don’t always see all the places we stop at, but there are times when you can take most of the day off to sit on the beach and have a cocktail. What sorts of places have you seen whilst working on a ship? I’ve been very fortunate with the places I’ve been to. I spent two years sailing around the Carribean and I miss that weather so much when I’m here in rainy Manchester. 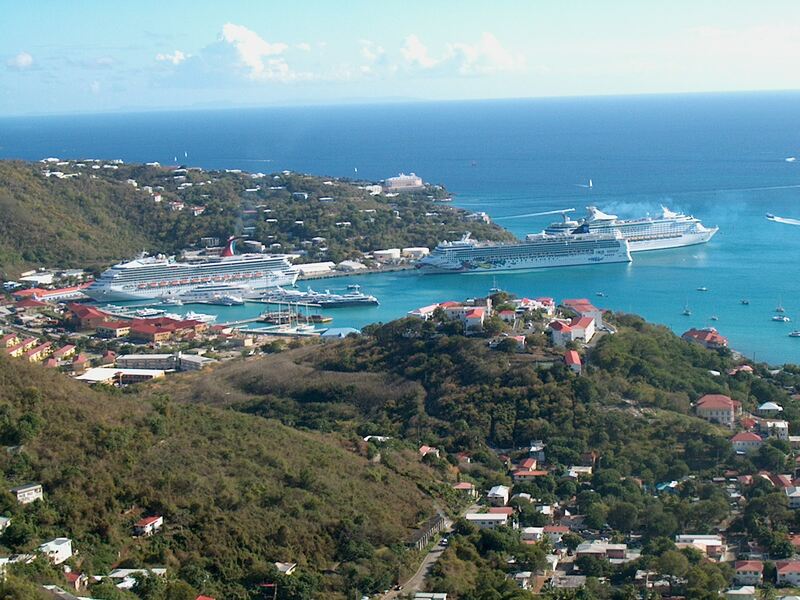 My favourite Caribbean port was St Thomas, in the US Virgin Isles. It is so beautiful there, I used to climb a hill near to the port just to look at the view. This past year I’ve spent a lot of time in the Mediterranean and Norway, and it’s been great to see new places. I’ve completely fallen in love with Norway, the scenery when you’re sailing down the fjords is incredible. Talk us through what an average day involves. So to get to the actual work! There are usually 7 or 8 shows on each ship. We’ll do fittings with the new cast for the first show they will open, then we’ll have a day or two of making alterations and repairing costumes. For most of their contract, the performers look after their own costumes and they then have to be used for the next cast, so they can be in really bad condition when we do fittings. Then we’ll do a few dress runs and there are always more things to fix after each run. Finally, they open the show, by which time the costumes should be pretty much perfect. Then we start again with the next show and keep on going until all the shows have gone up. Have you got any places you’d like to visit you haven’t already? There will always be more places I’d like to see but the top of my list right now would be Alaska, what I’ve seen of it looks stunning. My favourite part of the job is the people, without a doubt. I’ve been so lucky to meet some really amazing people in my time on ships and they really do make up for all the late nights and early mornings and all those days when you would much rather be at home. It also doesn’t hurt that my commute to work is usually a two-minute walk! How does working on a cruise ship compared to working in the wardrobe department of a fixed theatre? The biggest difference between theatre on land and theatre at sea is the access to facilities. You learn to make do with what you have, you become so resourceful when you can’t just go to the haberdashery. It’s a great place to develop your problem-solving skills. Last week, our director decided we needed two new costumes and a wig for a character and we made it happen without setting foot on dry land. Another big difference: the workroom can get really rocky, it’s definitely interesting trying to do fittings when none of you can stand still because the ship is moving so much. Rachel has worked in the costume industry for more than 10 years, in theatres up and down the country (UK), mostly as a wardrobe assistant or dresser. In 2014, she took a job as costume technician for Disney Cruise Line, where she worked for 2 years on the Disney Fantasy. She currently works for Headliners Theatre Company as a travelling wardrobe assistant. She works as part of the team responsible for costumes across P&O’s fleet of 7 ships.